He Grew The Tree! – I Am Not Ashamed Of The Gospel Of Christ! Home › gospel of Christ › He Grew The Tree! He Could Have Called 10,000 Angels! 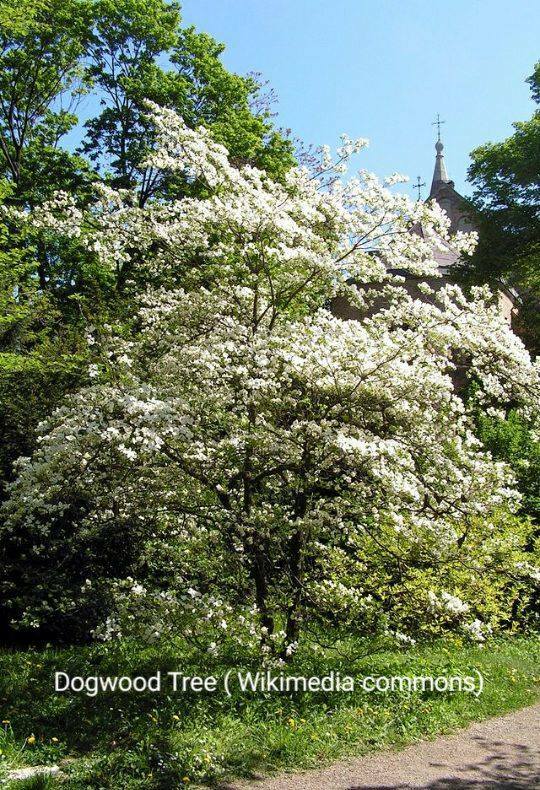 It has been thought that this tree was used to Crucify Christ, because of it’s flowers in the shape of a cross. It’s a reminder anyway. Jesus gave His life freely so that you and I might live. He could have destroyed mankind for the wickedness He endured. But He chose death, but death could not hold Him, the moment He gave His life to His Father, the Curtain in the Temple was torn in half, the earth shook, and the sky darkened. As they laid Him to rest His journey was only beginning. He conquered death and Hades, and returned to show the world the love God has for us. Think about this song for a moment. He was with the Father from the beginning. He grew the tree that was used to Crucify Him. He loves us that much. Thank you Yeshua, thank you Father! Praise to your Glory. This song was my Mother’s last request, she wanted it played at her funeral. But no one knew how to play it. This was so important, this was the last thing she wanted us to know. If you don’t know our Savior, please accept Him in your heart. He is returning soon, this time as a mighty King and Warrior. I long to see Him and fall at His feet. I also want to remember those who are serving Him under persecution, there are so many in prison, and facing death simply for believing Christ is God’s Son, and He was crucified, died and was resurrected. And that He and the Father are one. Remember them, as we think about Christ’s sacrifice today. And know that we don’t have anything to fear, only Glory ahead. Praise God! NOTHING TOOK HIS LIFE WITH LOVE HE GAVE IT. GOD GAVE WITH HIS PLAN.